Given its geographical position straddling both Europe and Asia, Istanbul is a melting pot of Eastern and Western civilizations. The famous Bosphorus Strait divides this culturally rich city into an Asian side and European side, both full of deep-rooted diversity. Many first-timers stay near Sultanahmet on the European side in order to see all the tourist-favorite sites, such as Topkapi Palace, Basilica Cistern, and the Museum of Turkish and Islamic Arts. But there’s much to discover on the other side of the city. Here’s how to get away from the central tourist area and take in the underrated Asian side of Istanbul. Explore like a local in Kadıköy. Start your journey by visiting the neighborhoods of Kadıköy and Moda first. 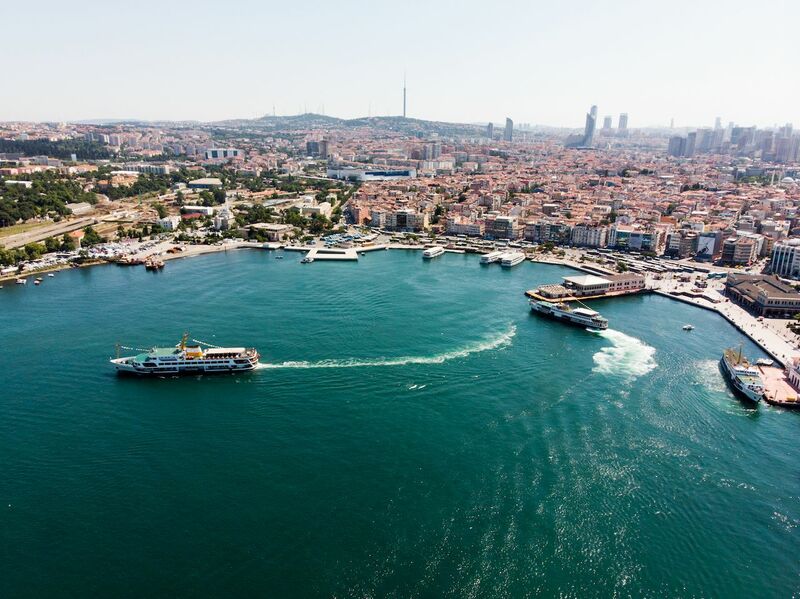 There are ferries to Kadıköy departing from different piers, such as Kabatas, Eminonu, and Besiktas. While watching the city from the water, do not skip the pleasure of having a cup of Turkish tea with simit, a round, sesame-coated bread that is a very popular Turkish street snack. As soon as you get off the ferry and find yourself in Kadıköy, you’ll be welcomed by a less chaotic and a more peaceful atmosphere with car-free streets — a perfect place to do some shopping and exploring at the many souvenir shops, restaurants, bookstores, and pastry shops. As you walk along the streets, you’ll notice that just like many other districts of Istanbul, Kadıkoy is all about contrasts. The large district is a good example of how nostalgia and modernity can co-exist. The root of this beautiful coexistence dates back to ancient times when Kadıköy was first known as Chalcedon. The first settlements in Chalcedon were built by the Greeks around 685 BC, and people from different backgrounds and cultures — including Greeks, Turks, Armenians, and Jews — lived here together under the rule of the Ottoman Empire. This historical and cultural diversity has enriched Turkish culture and cuisine into the vibrant and varied destination it is today. Meet up at the bull statue. 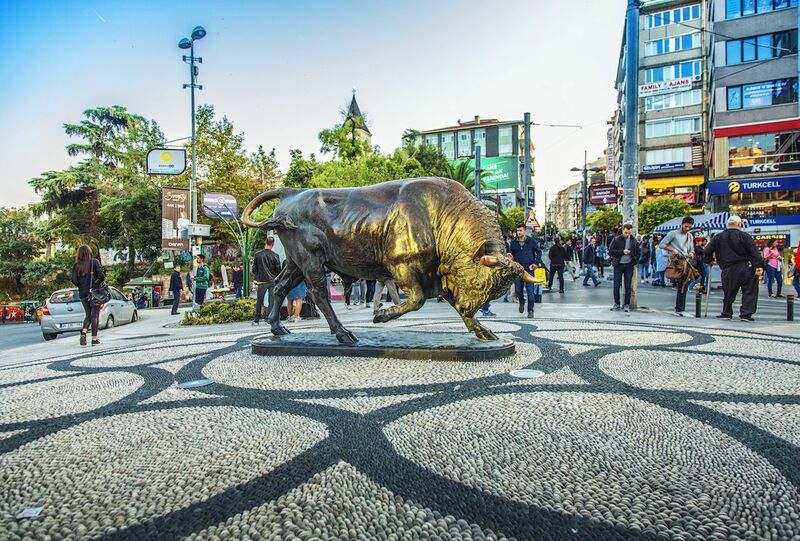 Kadıkoy’s bull statue, located in the center of an intersection, is one of the most famous landmarks of the Asian side of Istanbul. The statue was created by French sculptor Isidore Bonheur in 1864, and it was originally erected in Alsace-Lorraine before being seized by the Germans, who were allied with the Ottomans during WWI. As a symbol of appreciation, the statue was given as a gift to the Ottoman commander Ismail Enver Pasha in 1917. In 1955, the statue was placed in the courtyard of the Istanbul Hilton Hotel. Finally, in 1990, the bull statue was moved to its current location, Altıyol. Since then, this beautiful piece of art has been a meeting place for both locals and tourists. Enjoy a Turkish breakfast in the Moda neighborhood. Cemal Süreya, one of the most famous Turkish poets, once said, “I don’t know what you think of eating, but breakfast must have something to do with happiness.” Perhaps it was the rich Turkish breakfast that made him say these very words. Breakfast is very important in Turkish culture, especially on weekends, and it’s tradition for locals to have a long breakfast to wipe out the tiredness of hectic weekdays. 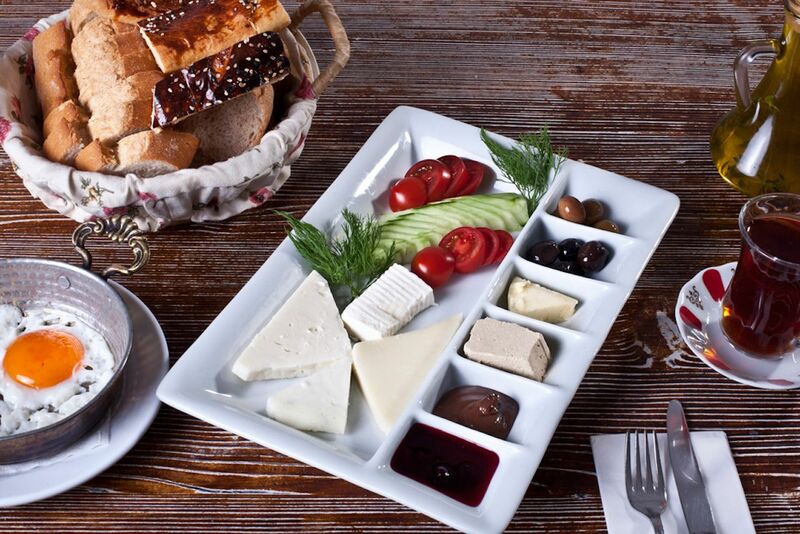 Traditional Turkish breakfast includes fresh tomatoes, cucumbers, olives, different kinds of cheese, eggs, jams, honey, and a clotted cream known as kaymak, along with tea and fruit juice. 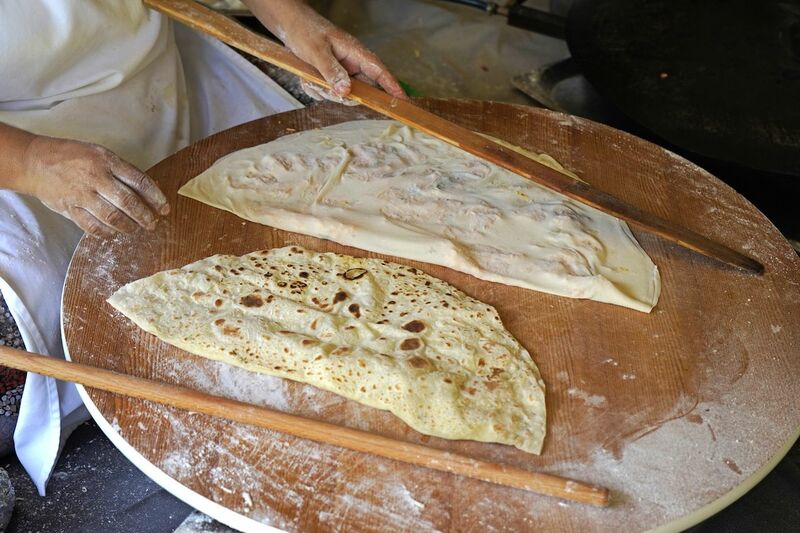 In the Moda neighborhood, there are many places where you can experience and enjoy traditional Turkish breakfast. Moda Van Kahvaltı is the preferred breakfast spot of both locals and tourists. It serves delicious, fresh breakfasts built from ingredients imported from the eastern Turkish city of Van. The dish to try is menemen, a traditional Turkish dish made with eggs, tomatoes, onions, green peppers, and spices. 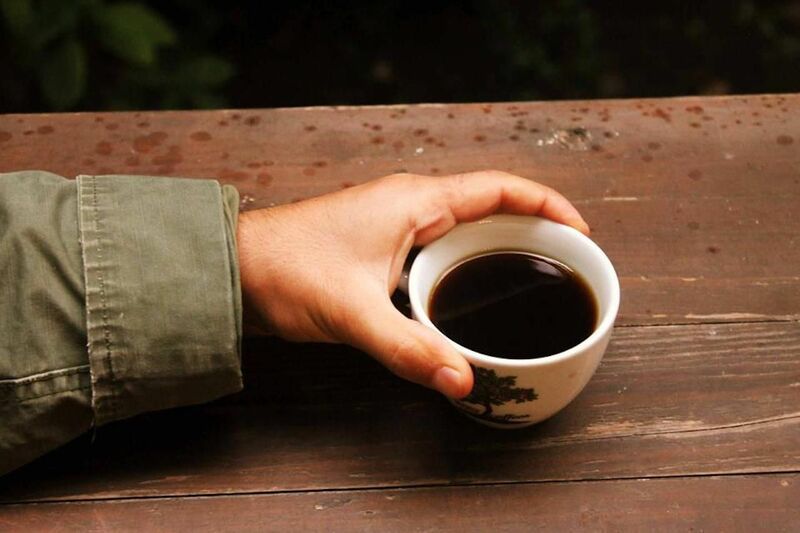 Get third-wave with your coffee. The word for breakfast, kahvaltı, translates to “before coffee” in Turkish. No matter how much you eat for breakfast, you should not leave Moda without having a cup of Turkish coffee. But instead of visiting the often-touristy “traditional” shops, complete with gilded saucers, try one of the trendy third-wave coffee shops where proprietors take great care in each and every coffee-making process, from harvesting to brewing. One of the best places to hit is Walter’s Coffee Roastery, a Breaking Bad-inspired shop that focuses on the chemistry of coffee and lets customers wear the hazmat suit and the gas mask that are on display. But it’s not all gimmicks; the coffee is the best in town, and the coffee shop also makes the yummiest pancakes ever. Another lovely spot is Cherrybean Coffee, which has a cozy interior design that’ll draw you in from the street and make you crave a homemade muffin to enjoy with your coffee. Pick a book from the bookshelves and enjoy the laid-back atmosphere. The hot chocolate is also a must-try. Drown yourself in Turkish cuisine. The Asian side of Istanbul has just as much incredible food as the European side, from traditional Turkish cuisine to quirky dishes from innovative restaurateurs. One of the best places to get schooled on the classics is Ciya Restaurant in Kadıköy. It specializes in cooking almost entirely traditional dishes from Turkey, such as lahmacun, kebabs, soups, mezzes, and many more. This kind of meal deserves a sweet ending, so do yourself a favor and try the Ciya pumpkin dessert. The restaurant is usually busy, and finding a table is a challenge at times, so show up during off-peak hours if you can. Otantik Anadolu Yemekleri in Beyoğlu is another noteworthy restaurant to visit. This restaurant’s name actually sums it all up for you — Otantik Anadolu Yemekleri means “authentic Anatolian dishes.” Gözleme, Turkish pancakes, are its specialty. Gözleme is typically a flatbread stuffed with your choice of ground lamb, spinach, potatoes, or feta cheese. This simple yet filling food is often served with a traditional drink called ayran, a yogurt-based beverage that is slightly salty. As healthy as it is, it’s an acquired taste that’s not often a favorite among tourists. 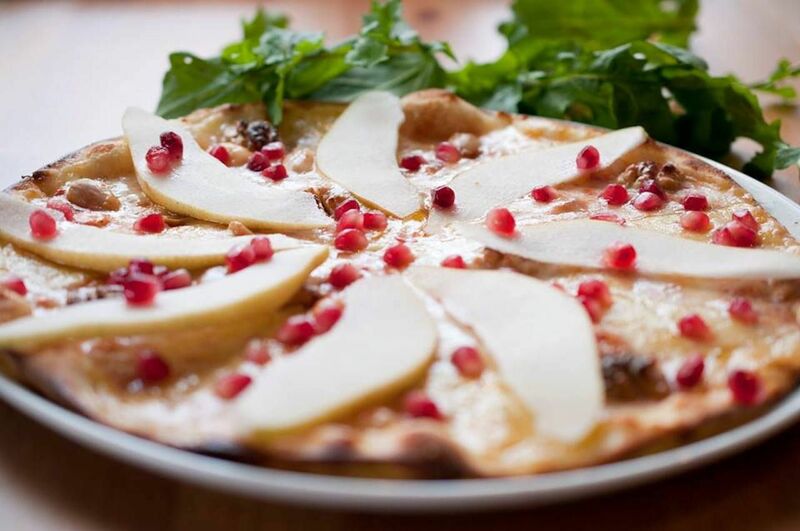 If you’re dying for a slice of pizza, Beppe in Kadıköy is a comfy and warm pizzeria that will make you feel like you’re home with friends or family. This small eatery has a special section on the menu labeled “Extraordinary Pizzas,” which features unusual toppings to suit every preference, from frog legs to eel and wasabi to smoked duck breasts. It also serves delectable local wines from Turkish vineyards. Don’t you dare leave Istanbul without stopping at Meshur Dondurmacı Ali Usta, an incredibly popular ice cream shop in Kadıköy that people don’t mind waiting in line for. Turkish mastic ice cream, called dondurma, is a bit stickier than the creamy version Americans are accustomed to, but you’re sure to find something you like in the selection of about 30 flavors, such as pistachio and Turkish coffee. 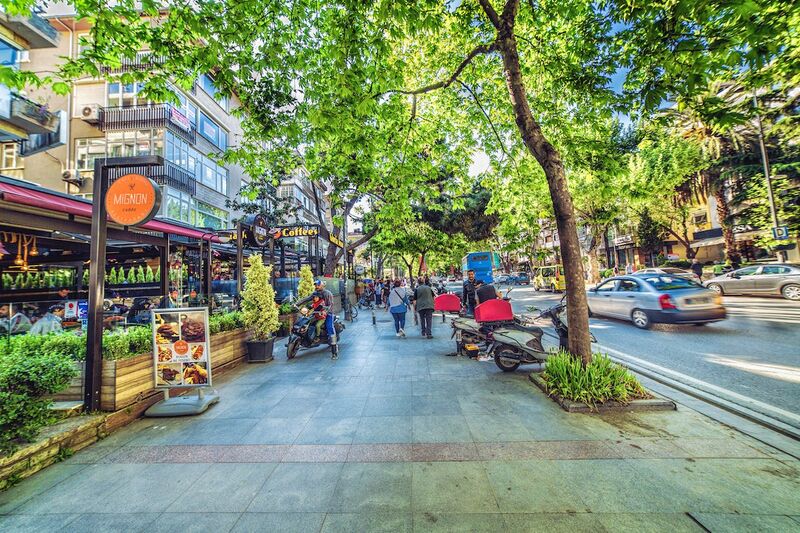 For shoppers, Antique Street and Bagdat Avenue are the places to be in Kadikoy. Antique Street, rarely called by its real name of Tellalzade Street, is a sanctuary for antique lovers. Seeing all those types of antique furniture, old electronics, secondhand goods, and clothing will make you feel as if you’re a sneaky time traveler. Bagdat Avenue is the Champs-Élysées of Istanbul and one of the longest high streets in the world. This is where all the luxury brands — Chanel, Louis Vuitton, Zara, Mango — can be found. Bagdat is so well known that people simply call it “the street” or cadde in Turkish. While the culture here is lacking, walking down the extra-wide sidewalks under the shadow of trees can make for an enjoyable afternoon. 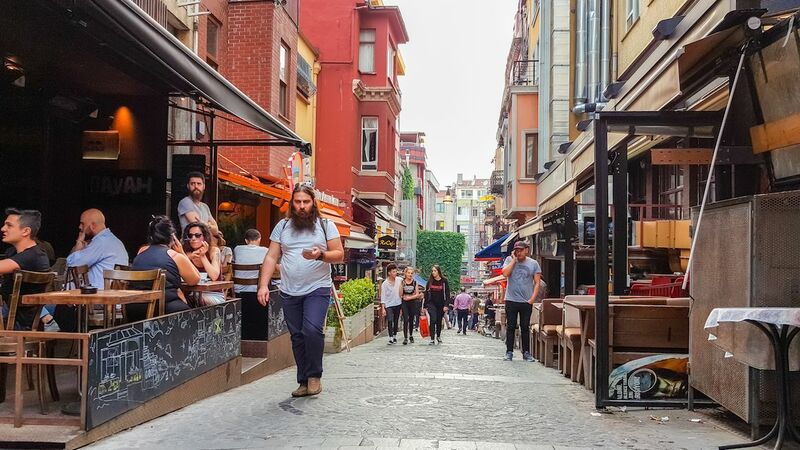 The nightlife has been very vibrant in Kadıkoy since the 1990s, and Kadıkoy Bar Street — originally known as Kadife Sokak — is a very important part of the culture on Istanbul’s Asian side. There are plenty of options for every nightlife taste, from cocktail bars to casual pubs to live-music joints. Three of the best are Karga, Aylak Pub, and Buddha Bar — each offering a cozy ambience, a rich selection of affordable drinks, and often times live music. Lastly, one of the most popular activities to do on the Asian side of Istanbul is take a long walk along the Caddebostan coastline with a cup of coffee in hand. You could also rent a bike or sit on the grass and enjoy the full scenery of the Prince Islands in the distance. On the weekends, it’s very busy as large and small groups of people get together to share a few beer and snacks. Spend a day on the Prince Islands. During your visit to Istanbul, you should definitely make a day trip to the Prince Islands. This heavenly district consists of nine islands served by ferries and sea buses operating regularly throughout the day — and there are many more transportation options on the Asian side than on the European side. Buyukada, Heybeliada, Burgazada, and Kinaliada are the four most famous islands, or adalar in Turkish. Being the largest, Buyukada is notably the most tourist-friendly. Be sure to visit the boutique patisseries of Buyukada and sample from the huge variety of pastries. 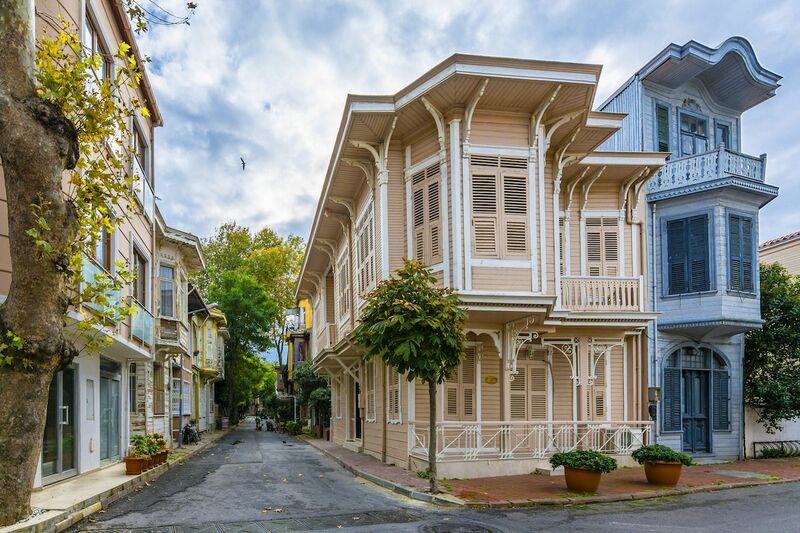 Buyukada and all other islands have small streets lined with amazing mansions and surrounded by picturesque scenery. At the highest point of Buyukada, you’ll come across a small church called Aya Yorgi. If you make it to the top, the view is simply breathtaking.